Poughkeepsie High School held its 144th Commencement Exercises for the graduating Class of 2016 on Friday, June 24, 2016 in Poughkeepsie, NY. 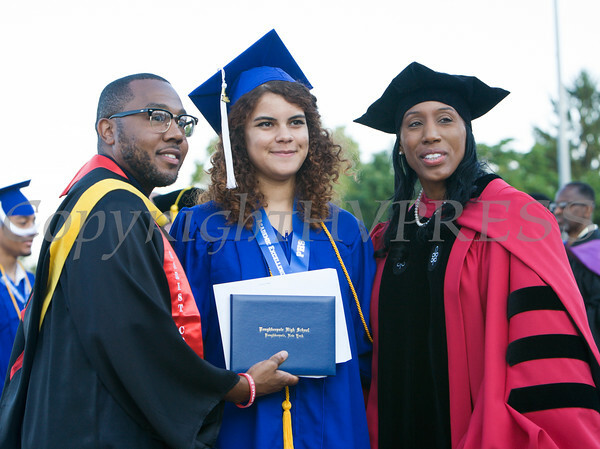 Students receive their diplomas during the Poughkeepsie High School 144th Commencement Exercises for the graduating Class of 2016 on Friday, June 24, 2016 in Poughkeepsie, NY. Hudson Valley Press/CHUCK STEWART, JR.